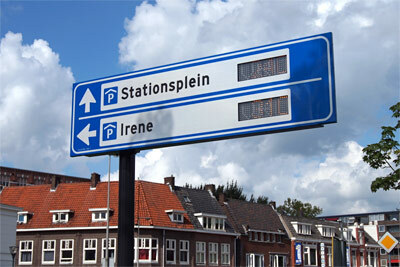 From all directions it is easy to travel to Enschede as the city is connected to several motorways. The major european motorway E30 is situated about 10 km north of the city. 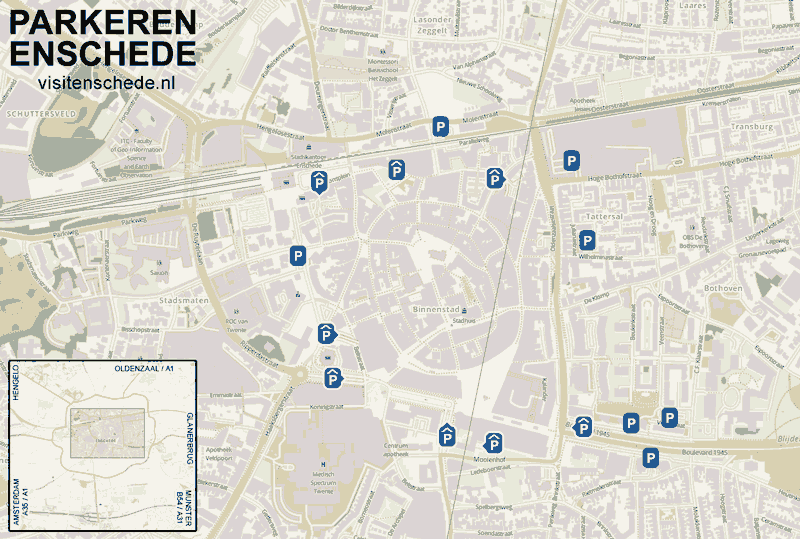 Cars can be parked in one of the good prepared parking-lots in the innercity. It is even possible to park your car under the marketplace in the largest parking-lot of the eastern netherlands. Beside that you can use the P&R facilities which brings you to the innercity by shuttle service. Clear directions to the parking lots.